Discussion in 'ASUS Reviews and Owners' Lounges' started by carlito000, Dec 27, 2016. Did a lot of research for matte screen 17'' laptop. Seems like a decent purchase. Also repeatedly getting WHEA-logger Event 17 in events viewer log. Cant see any physical problems so far. Driver updates seem to have slowed the frequency of the error message but not eliminated it. I am thinking of buying this notebook, which would be used mainly for video recording via screen-capture. One thing that really bothers me is the Power button taking up the position normally occupied by the End key, because the notebook would never be sitting in front of me but several feet away at a 45-degree angle, and I need to be able to stick out a hand and tap 'hotkeys' quickly and accurately. 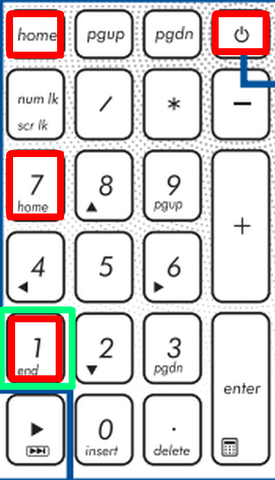 I see that there's another End key on the number pad - can it be used without the NumLock on, as I would be reaching out, typing into, eg, date/timeline/location apps and it would be a real pain to have to toggle NumLock on/off. I would have several Fn keys assigned to other recording hotkey functions, such as Start/Stop/Snapshot. I have to buy this notebook sight-unseen online, so I'd be very interested in any observations you think significant from your short period of use. Well, I've taken the plunge without your support, Carlito It should be here in 2-3 days. Never fear, I shall be back with 'impressions'. I think this is a cracking laptop.Battery is not removable and battery life is a bit short - this is clearly stated on all the reviews and doesn't bother me. Interested to know anyone elses thoughts or issues. My N752 turned up with a non-backlit keyboard! I'm going to have to find some stickers to help ID hotkeys from a distance, but they need to be easy-peel-off ones so's not to damage the surface. Visually, it's not a well-thought-out keyboard. Fn+F7 should turn off the display - it does, too, but only for a few seconds. Followed all suggestions from Asus Support, including power discharge and updating drivers, nothing works. The only thing left to try is update the BIOS "at your own risk". I had immense, immense trouble getting it to behave on my network. Ended up upgrading to Win10Pro @ £100 but at least that fixed the problems. Fn+F7 does indeed turn off my screen, and it stays off until the keyboard or mouse is touched. Whats risky about updating your BIOS? is it s special unsupported/modified version of the normal BIOS? Unless they are referring to the normal caveat of ensuring there is no power interruption during the process. Updating BIOS to the latest version is one of the first things I did with this laptop. Whats kind of network misbehaviour were you seeing out of interest? Glad you sorted it but you shouldn't of had to pay £100 for the privilege!! Network issues - terrible trouble getting access from one laptop to another - there's a lot of water under the bridge since then so I can't remember the details, but I do remember being asked for Network Credentials, among other difficulties. All my other latops are Pro, so it seemed a good idea to upgrade the Asus, and coincidentally the network improved - tho it is still slow to populate folders. As for the BIOS - Asus suggested, if all else failed to fix Fn+F7 (which it has) to update the BIOS "at your own risk". What am I to make of that, when it's so bald? As far im concerned upgrading the bios/firmware is a perfectly normal and standard part of maintaining a computing device. BUT yes very bad things could potentially happen if the power is interrupted, or you screw it up somehow. Im from a computing background so I didn't even think about it, but yes, I can see why you would issue this warning to the general public. Probably gives ASUS some legal/warranty get out of jail cover as well. About 6 months in battery light started blinking and by the end of about 1 years ownership it stopped charging altogether. EDIT - I did update the BIOS and that didn't fix it either!